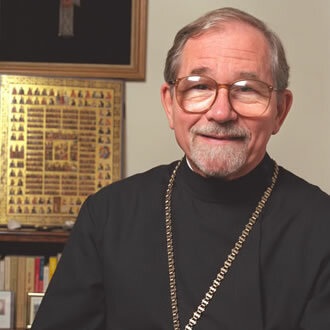 March 18, 2019 marked the fourth anniversary of the repose of Protopresbyter Thomas Hopko, Dean Emeritus of Saint Vladimir’s Orthodox Theological Seminary, Yonkers, NY, and noted Orthodox Christian priest, theologian, preacher, and speaker. Father Thomas was the beloved husband of Matushka Anne [Schmemann] Hopko, whom he married on June 9, 1963. They are the parents of five children, 16 grandchildren, and numerous great-grandchildren.